We are currently out of stock on that item. Please Note :¬John Guest Water Underfloor Heating kits feature water temperature control, beware of systems without this facility. John Guest only use high quality Polybutylene pipe. 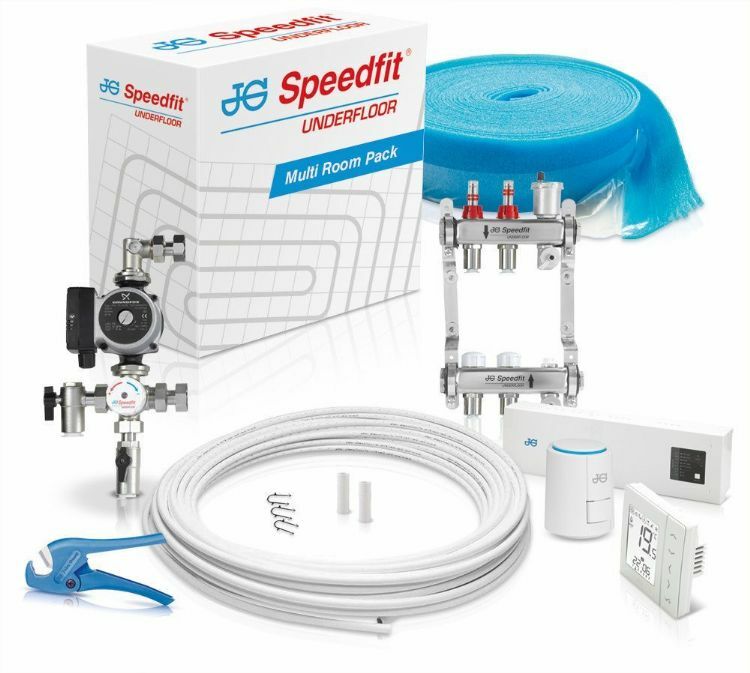 Used to mix and control water temperature, SpeedfitÄôs lightweight control pack is suitable for heating systems up to 14kW and connects directly to the manifold without the need of extra brackets or support. The nickel-plated control pack consists of a mixing valve, Grundfos A rated pump, return elbow, manifold adaptor and all necessary seals. 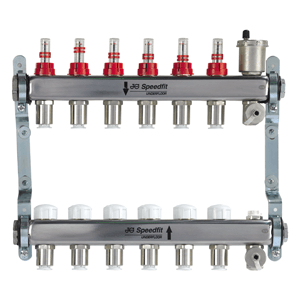 Speedfit push-fit pipe connections can be made from the side or below the manifold. The pack also isolates all system components for maintenance purposes and can be mounted either side of the manifold to suit application. Manufactured to the highest standard, our manifolds are made from stainless steel and are available in a range of sizes from 2 to 12 zones. All manifolds come fitted with brackets and a vibration isolation mount. 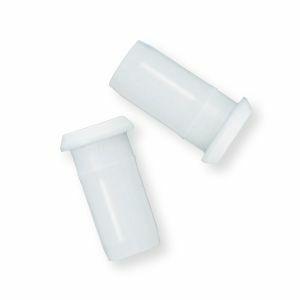 A unique feature is that pipe connections are all made with easy to use Speedfit push-fit fittings. 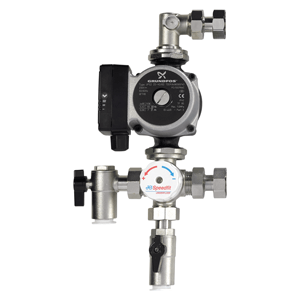 Integrated within the manifold rail is a pre-assembled automatic air vent, filling valve and flow rate indicators for adjusting flow and isolating the pipe circuit. JG Layflat pipe is made from a soft material with little memory, making it ideal for laying underfloor heating pipe circuits. 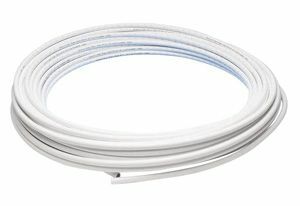 Made from Polybutylene, the 15mm pipe has an inner barrier to stop the ingress of oxygen molecules and is approved by British Gas for water pipe in vented and sealed central heating systems. 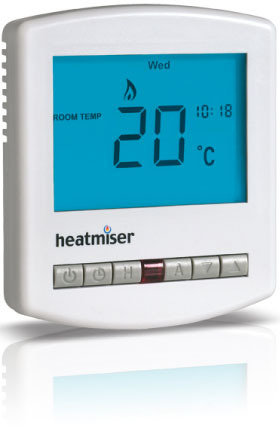 The Wireless Wiring Centre has been designed to be a complete wiring solution for UFH, Radiators and Hot Water control. 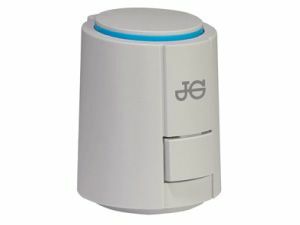 It accommodates up to 8 thermostats and a Wireless Hot Water Timer for cable free installations. Features clearly labelled terminals for each component for simple wiring. Controlled by a thermostat or programmer, Actuator Valves operate to open or close an individual circuit on the manifold. Edge Insulation is to be used around the edge of the room in order to minimise unwanted heat loss and allow for expansion. 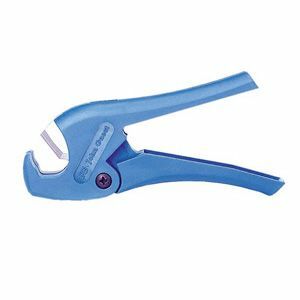 John Guest Pipe Cutter suitable for the cutting of JG Speedfit barrier pipe up to a 22mm diameter. 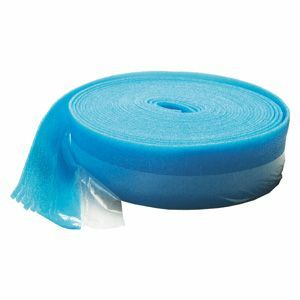 Pipe staples for securing pipe to floor insulation. Approximately 12 staples per m¬ of floor. 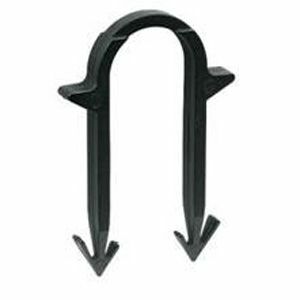 Use with pipe staple gun, sold separately, for quick installation. 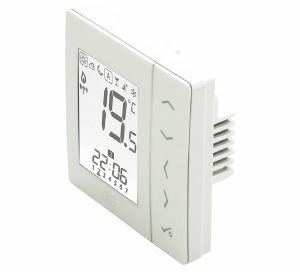 All our kits come with the Heatmiser DS1, which is our 230v electronic room thermostat, ideal for conventional or combi-boiler systems. 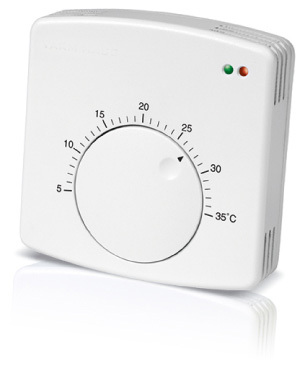 This thermostat is used in conjunction with a separate programmer. 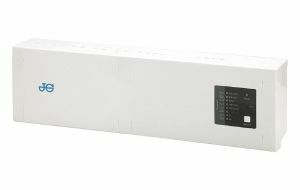 The Heatmiser PRT is our 12v programmable room stat and programmer in one, providing up to 4 different temperatures at different times of the day. Our delivery charges are calculated based on the weight of your entire order. Below is a table illustrating the cost for each weight bracket, please note we cap our delivery costs to a maximum of £50. We can also arrange for pallet delivery on a three-day delivery, but costs vary depending on the size of the order, so please contact us for details. Orders placed before 3pm on any business day (Monday – Friday) excluding Bank Holidays should be delivered on the next business day (Excluding Saturday, unless the carriage is met) anytime up to 7.00pm. Our standard next working day delivery does not guarantee next day delivery; however every effort is made by us and the courier to achieve this goal. Orders taken on Friday after 3pm, Saturday or Sunday will be dispatched on Monday (excluding Bank Holidays) for delivery on Tuesday up to 7.00pm. Orders placed on Friday before 3pm will be dispatched on Friday for delivery on Monday up to 7.00pm unless the Saturday delivery charge is met (This excludes Bank Holidays). Please note: We rely upon the services of third party couriers and, whilst we endeavor to always deliver in a timely manner, there are unfortunately a few occasions when the couriers fail to deliver on the appointed day. This happens rarely, but because it does occur, albeit occasionally, we cannot be held responsible for the late delivery of an item, or any costs incurred by customers tradesman unable to work, please ensure you have your materials before booking in any trades. Shipments sent outside the European Union may be subject to import duties and taxes, which may be levied once a shipment reaches your country. For details of Customs charges please consult your own Customs authorities for the latest rates. UFH Direct is an online company, unfortunately we do not have the facility to collect goods from our distribution centre, all orders must be placed online.